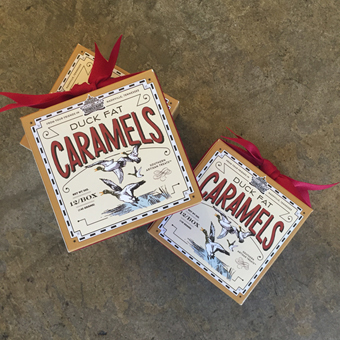 The inspiration for the original Duck Fat Caramels was born behind a duck blind . 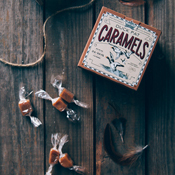 This rooted American pastime inspires each batch of caramelized cane sugar and rich duck fat for a perfectly seasoned, mouthwatering caramel. Each box contains 12 individually wrapped caramels. A delectable and unique guy gift!